Winter is coming! So it’s a good thing we got all our wood split. 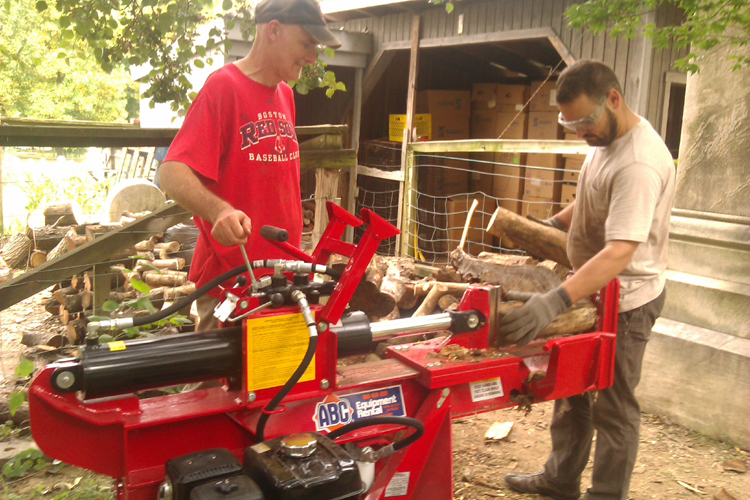 We rented a wood splitter a few weeks back and spent the good part of a couple days splitting the wood we had on hand. Joe had the first shift, with help from Dan Parr, Emily’s brother, who was in Baltimore for a visit. 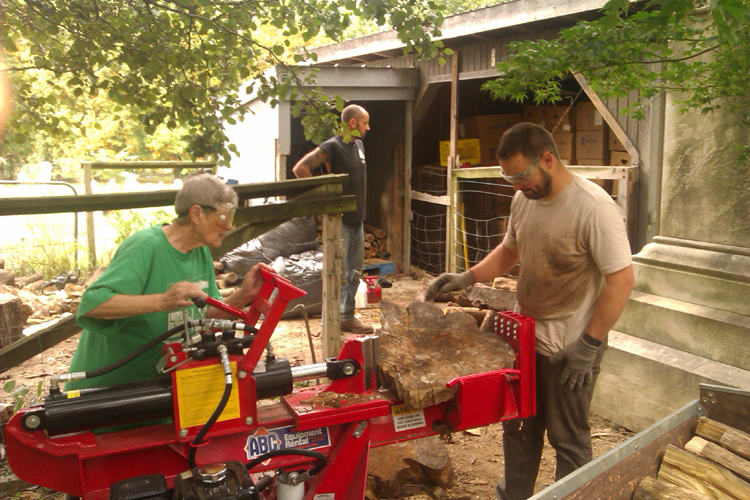 Ardeth took the second shift, with Dan continuing as head assistant. Tucker is in the background deciding which logs to bring out. 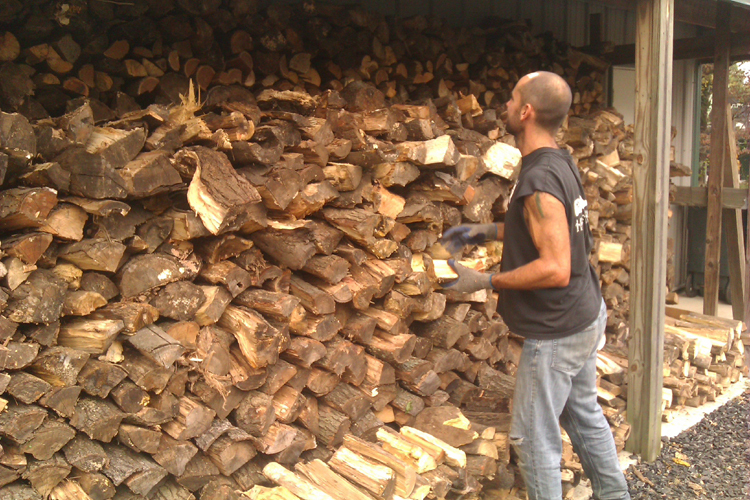 Tucker also spent a good bit of time stacking the split wood. 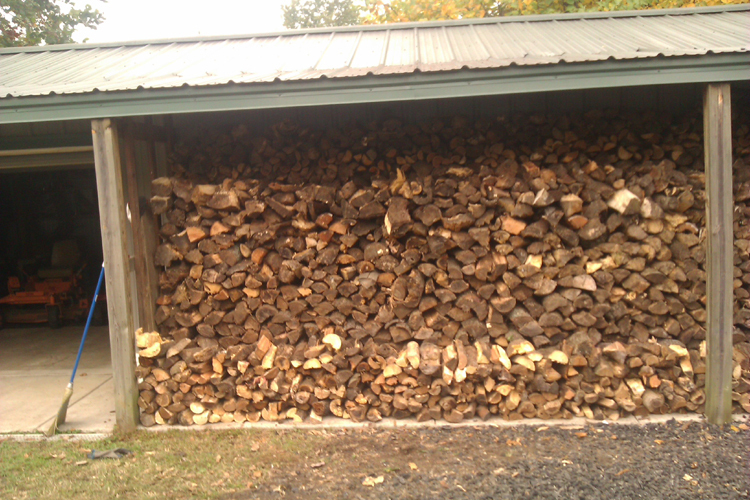 Here’s the the wood pile after we finished splitting. You might not be able to see it: there’s a row in back, all the way to the top, one in front of that one about three quarters to the top, and a short row in front.